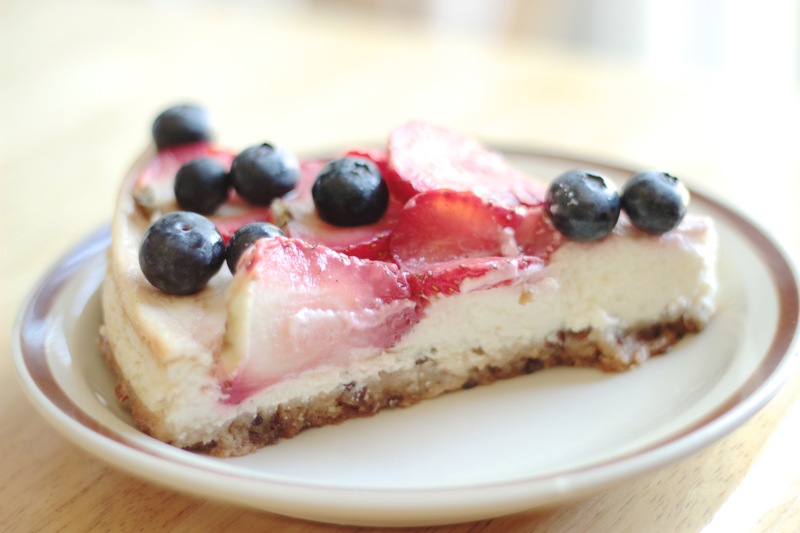 Memorial Day Treats~ Healthy, Dairy-Free Cheesecake Dessert! Memorial Day is just around the corner and hopefully that means rest, quality time, reflection on what the day means to us and also hopefully- good food! Healthy food! With invitations to barbecues, warm weather and more time on this day off to enjoy ourselves also comes many options for food. It is easy to go overboard, but I always like to make this day a win-win. Food that is absolutely tasty and food that is absolutely healthy at the same time. And yes, that includes dessert too! This recipe is made with cashews as its base. Cashews are rich in heart-healthy fats, fiber, protein and other vitamins that support eye, blood and immune health as opposed to the higher amounts of saturated fats that are abundant in cream cheese-based cheesecakes. This cheesecake dessert recipe is full of creamy flavor and perfectly refreshing as a lighter take on traditional cheesecake. See below for more details and a printable, pin-able recipe! Give this easy and delicious take on cheesecake a new spin! A great alternative for those whose are dairy-free, looking to go more plant-based, or simply wanting to try something new and healthier. Soak cashews for at least 4-6 hours or overnight in bowl with cool water. 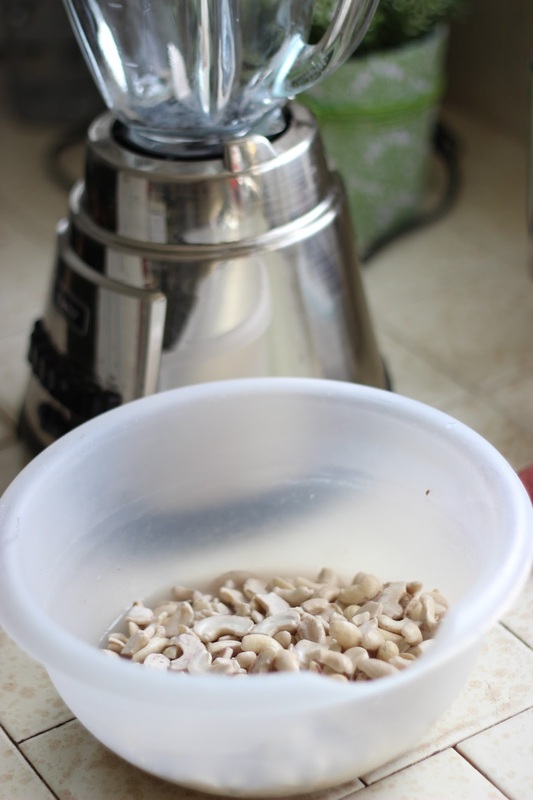 Then drain water from cashews and place into a blender. A blender works best for creating this type of cream vs using a food processor. Add maple syrup and vanilla extract and set to "blend" or "whip" setting on high to create smoothest texture. 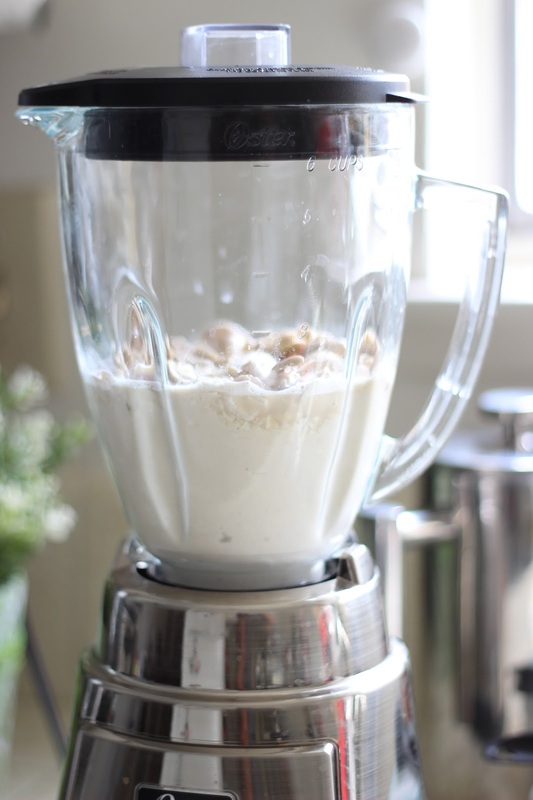 Blending may take up to 5 minutes for cashews to completely silken. The cream should feel smooth when rubbed between your fingers. If still grainy, try adding a tablespoon of water at a time and blend a few more minutes until texture is smooth. Blend crushed graham crackers, flax seeds, oats, oil, and dates into food processor and blend until all ingredients are moist. Transfer crust ingredients to a 10" springform pan, and evenly spread out ingredients to coat the entire bottom (and sides if you like) of the pan.